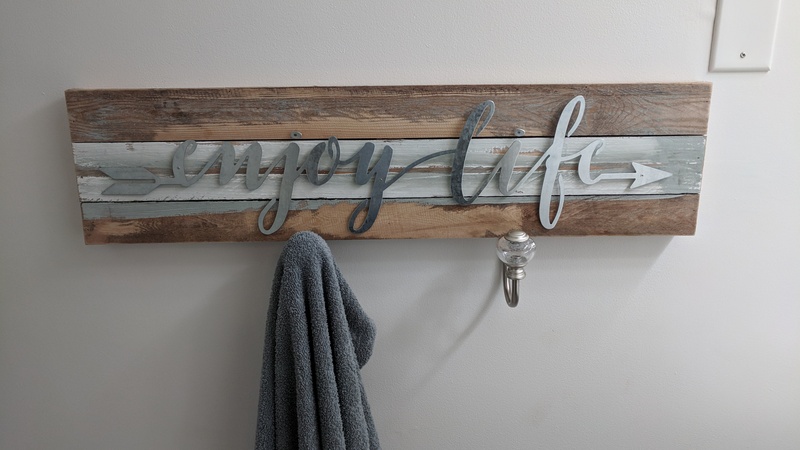 Towel racks with a little inspiration. Deciding how to do this in bed bath and beyond took longer then putting it together. This was one of two we created. Used screws, level, measuring tape, battery powered screw gun and a pencil. Don't forget the pencil. Second one we created is below. Thoughts welcomed.